The only thing they have in common is the same first letter! The following two paragraphs are a statement found on the PennDOT cultural resources website. "No matter where one travels in the Commonwealth, historic bridges dot the landscape. These graceful monuments to Pennsylvania's transportation and engineering history are a tangible link with the past that visitors and residents statewide can enjoy today. Few states rival Pennsylvania in sheer diversity of bridge design, construction, and thematic styles. Historic bridges are a key feature of PennDOT's cultural resources program. Due to the number, history and importance of Pennsylvania bridges, significant efforts are expended to ensure that transportation projects are sensitive to the historic character of these resources. A delicate balance is required to design, build and maintain safe bridges, while at the same time preserving the integrity of historically significant bridges." Mo matter where one travels in the Commonwealth, historic bridges are being demolished. These graceful monuments to Pennsylvania's transportation and engineering history are a link with the past that visitors and residents statewide do not deserve to enjoy today. A few years ago, few states rivaled Pennsylvania in sheer diversity of bridge design, construction, and thematic styles. Today, few states rival Pennsylvania in the rate at which we are demolishing these historic bridges. Historic bridges are not a concern to PennDOT's cultural resources program. Due to the number, history and importance of Pennsylvania bridges, no efforts of any type are expended to ensure that transportation projects are sensitive to the historic character of these resources. The only concern is to design and build modern two-lane concrete and steel beam bridges, while at the same time ensuring the rapid demolition of historically significant bridges, wherever they may be. There is a reason you will see "The only thing that Pennsylvania and Preservation have in common is the same first letter!" on most of my Pennsylvania bridge pages. It is because they have demolished structures that are so rare, so historic, and so beautiful that it should be a crime. They have had a large number of truss bridges, most maintained and in decent relative condition, yet now they are replacing them at an alarming rate. There are enough truss bridges, that you could restore them, and make a historic truss bridge route, for tourists and such to come visit and embark on. Instead, Pennsylvania repeatedly chooses to demolish them and replace them with ugly slabs of concrete. I am angry and disgusted at Pennsylvania, and this page is dedicated to showcasing why I am angry. In short, there should undisputedly be Federal funding and laws that protect metal truss bridges in the way that wooden covered bridge are protected. Also, programs like Michigan's Local Bridge Program should have an exception that with historic bridges, funding will only be used for a restoration. PennDOT claims that it is doing its part to save historic bridges by offering the structures to private sectors to move and preserve them at a different location. This is ridiculous! Not only do we pay taxes, now we have to pull out the $500,000 to restore the bridges?! The cost of restoring a truss bridge is a giant lifetime expense for an individual and pocket change for a government. Keep in mind that PennDOT answers to a government that sees fit to throw billions upon billions of dollars toward the war in Iraq. This does not require a lot of explanation. Often, in Pennsylvania, the replacement bridge is constructed away from the historic bridge. This is done for various reasons. 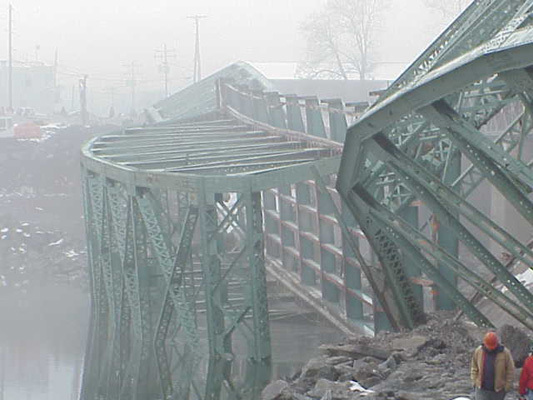 As such, it would be possible to leave the historic bridge standing for decoration, or even open for pedestrian use. However, if the bridge is on a river designated a Scenic River, a designation designed to protect the beauty of the river, the act forbids two structures at the same location. How convenient now for PennDOT to say, "Well, we can't leave that truss bridge standing, its a violation of the Scenic River Act!" Obviously, this is a loophole that needs to be filled in. There should be a mandate to preserve any structure on the scenic river that has historic significance, as the historic structure is a contributing feature to the beauty and culture of the river. The Shanley Road Bridge is an victim of this stupid act. The extremely few truss bridges in Pennsylvania that are preserved are usually small, and are not always the most historic bridge around. Not that I would not want them preserved - I would... but what about the larger bridges, or those with a high level of historic significance. Take for example the Hickory Bridge, which is so beautiful, and is a rare example of a four-span truss bridge of its age. This bridge should be preserved because it is large, and there are few bridges from this era of this size remaining. This is to say nothing of other historic value the bridge may have, nor its highly positive influence on the surrounding breathtaking river valley. Another example is the Mead Avenue Bridge, a bridge that is so unique and so historic that its destruction seems a crime to me. With keystone columns, and two truss bridges in one, both of unusual truss configurations, preserving this bridge seems a no-brainer to me. Nevertheless the brain-less people in charge of Pennsylvania are planning its demolition. "One mitigation measure, known as context-sensitive design, involves designing replacement bridges in harmony with the original design, with particular attention paid to materials, workmanship, and appearance. In addition, the new design takes into account the historic context of both the original bridge itself and of it's surroundings and setting." In harmony? How can you take away a 113 year old truss bridge, and build a brand new beam bridge and make any sort of comparison to design materials and workmanship? Easy. You stamp a stone design onto the concrete piers and abutments. Makes sense right? Not to me. What about the v-laced steel members making up the truss structure? There is a lot more to the appearance of a truss bridge than just the abutments! In fact the abutments are quite trivial in the overall appearance. A restored truss bridge on new piers and abutments looks far nicer than a new beam bridge on old piers and abutments. With the Shanley Road Bridge this was what happened. They stamped a stone design that looked nothing like the stone abutments on the Shanley Road Bridge and said it was in harmony with the original design. I can't imagine that it cost PennDOT too much to add this design to the bridge, but whatever it cost was a waste of taxpayer dollars. Either preserve the historic bridge or build a new one without the designs. A new bridge is going to be uglier than the old bridge no matter what you do; even modern truss bridges lack such simple forms of beauty such as v-lacing, lattice guardrails, and ornate builder plaques. Pennsylvania has a number of truss bridges built in the 1920s and 1930s, and these bridges are still in relatively fair number. Other states also have a number of 1920s and 1930s truss bridges remaining. Michigan, in comparison, has none of this bridge type left, which is unusual. As a result of the decent number of remaining bridges, when historic surveyors view these bridges they do not list them as historic, and they say they are common technology. This does not make sense. Truss bridges are no longer built on today's roadways, and if they were they would lack many of the features of the 1930s bridges, such as lattice guardrails and v-lacing. 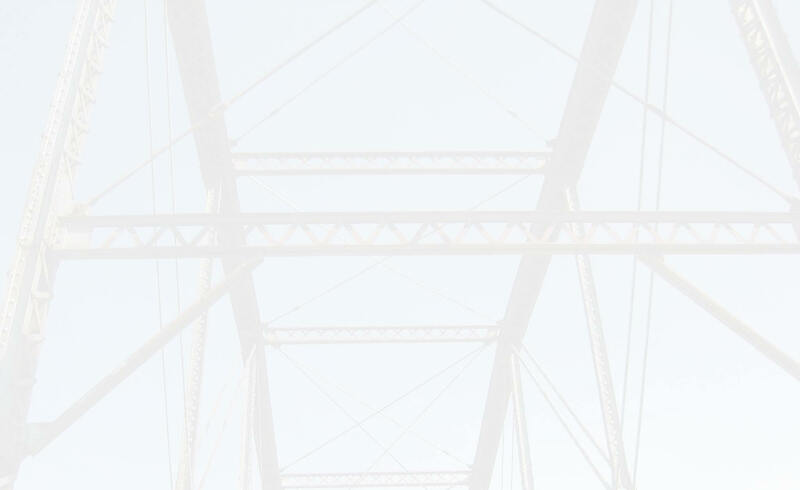 With all that said, I happened upon the PennDOT district 4 website which proudly had the demolition and replacement of two different, very large 1930s style camelback truss bridges featured on their website. These bridges were breathtaking because they were so long, and the truss spans created a beautiful sense of intricacy and beauty that was not in the slightest present in the concrete slabs that replaced them. One of these bridges, like the Shanley Road Bridge, was not in the way of the new bridge, but it was still demolished. Sadly, because of PennDOT, I will never have the chance to visit these bridges, but I still felt they deserved a nicer tribute than they received in the PennDOT page. As a result, I took their photos, and made a photo gallery of my own, with some comments about the bridges in them. They can be accessed below.